Autumn has arrived, at least in Ireland, not in Catalonia, though, as it seems for the weather. But autumn is here for us, with the rainy days (less than expected, though) and still quite soft temperatures. And above all, its seasonal products which can be found everywhere, next to Halloween costumes. However, what I love most of the autumn season are the smells, the burning wood smell and the baked sweet potatoes one, at home. I loved that burning wood smell when I was in my town, when the cold weather arrived and the day was becoming shorter. I thought I wouldn't be able to feel that feeling again, but it seems it is a quite common smell here in Ireland, too! 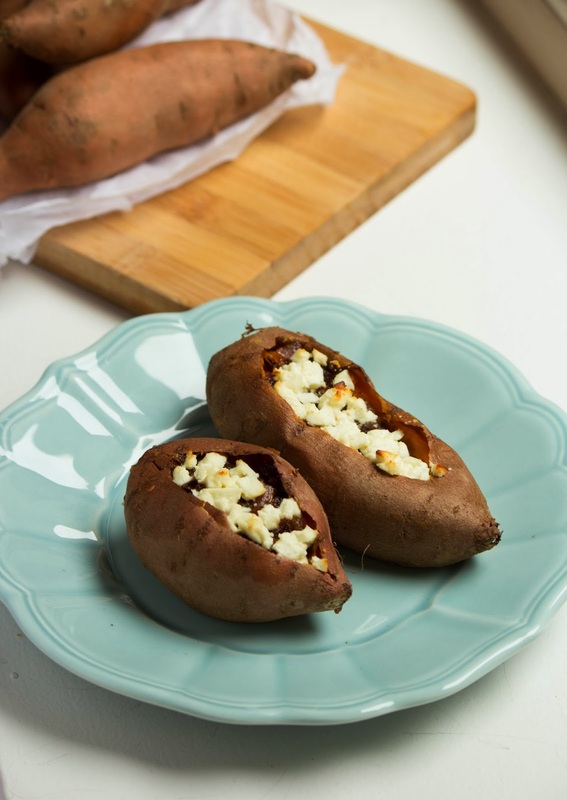 Despite the fact that I had always eat sweet potatoes in its simply baked way, the truth is that the offer lots of possibilities and combinations. 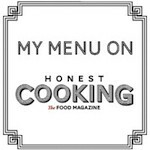 I think the fried sweet potatoe chips are unforgettable, and so it is today's recipe... You'll simply love it. 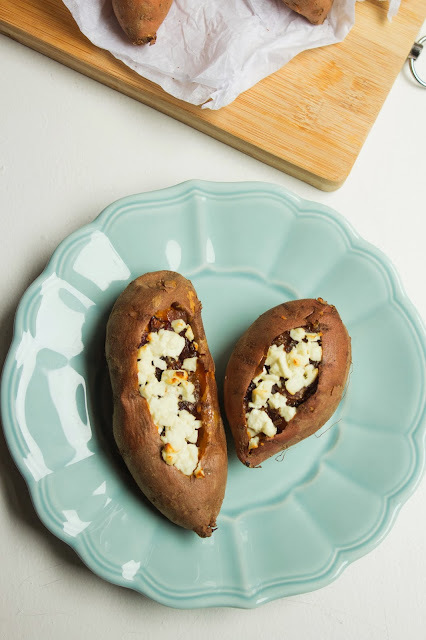 Sweet potatoes with caramelized onion and feta cheese. 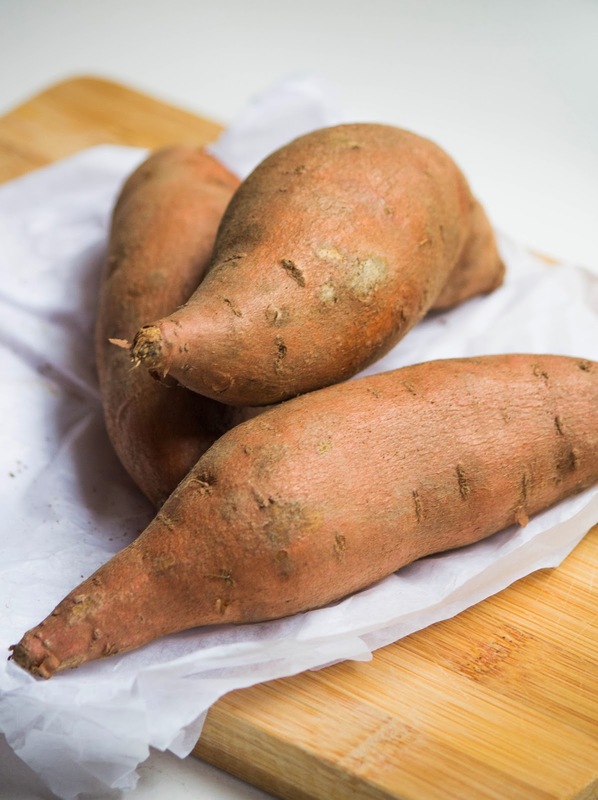 It is a very simply recipe: bake the sweet potatoes for an hour or until they are tender. Meanwhile, in a saucepan, sauté the onion with a tablespoon of olive oil over low heat for ten minutes. Add a teaspoon of brown sugar and stir constantly until soft and brown. 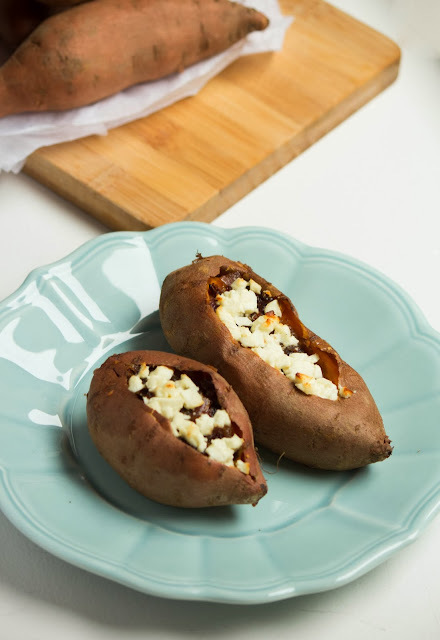 Once the sweet potatoes are baked, open them and add some of the caramelized onion and feta cheese and bake again until the feta is lightly brown.